Star Wars: the Force Awakens (TFA) is now the number one grossing film in the United States, passing up Titanic and flying by what used to be the highest grossing film, Avatar. The fans have not kept quiet about the sheer awesomeness this film depicts as they celebrate the movies success and theorize about the future stories and characters. 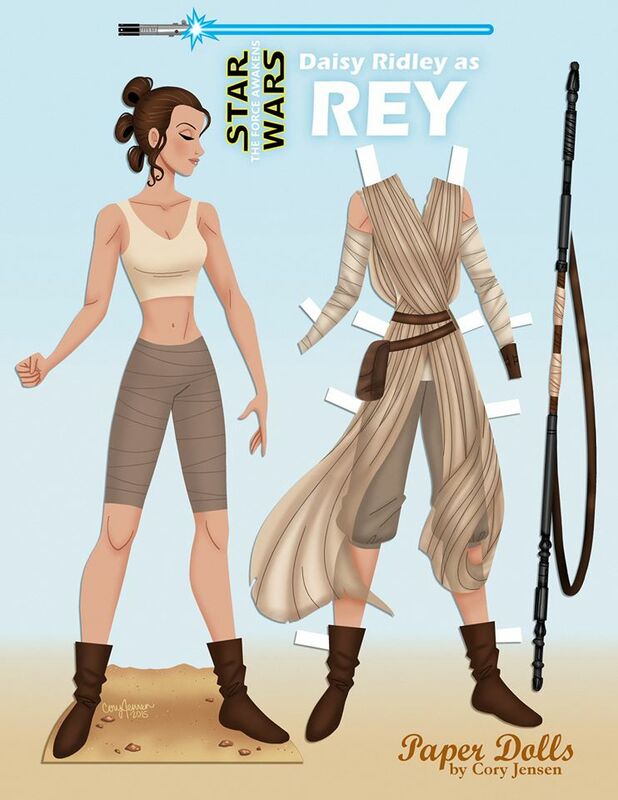 Who is Rey? What happened to Finn? Will Luke join the fight against the First Order? All these questions circulate the web and fan forums. unfortunately, it will be a while before any of these questions are answered. What are we fans to do? Well, it is no surprise that fans fill their time cosplaying, drawing, or creating other crafts to commemorate the TFA movie as we wait for the next film. Even I have taken time to draw my second favorite droid, BB-8 (R2-D2 is still my favorite) and make him into a gif. wanted to create something bold, beautiful, and elegant that echoed her main outfit and other costumes from Star Wars. If you ask me the costume is beautiful and he really captured the Star Wars feel and elegance. 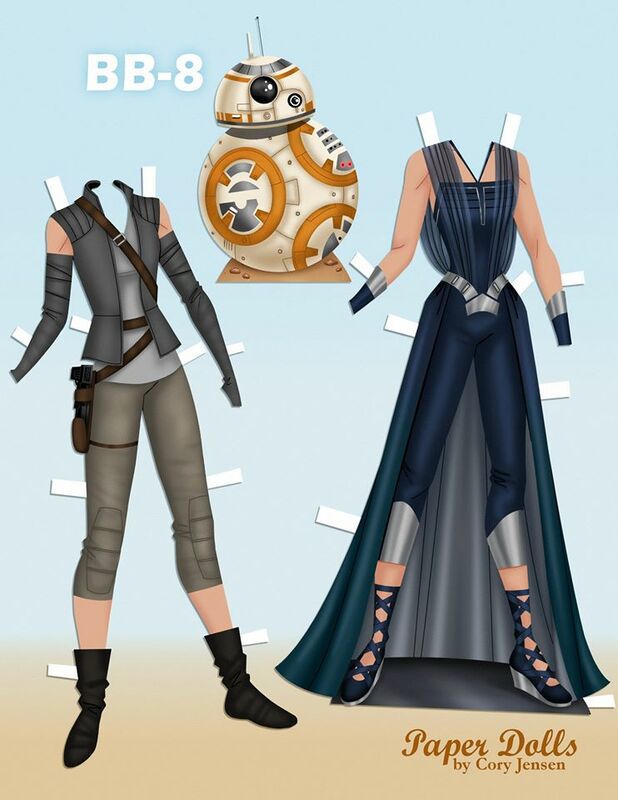 To get this free printable paper doll simply click the images below and save them to your computer. Be sure to visit Paper Dolls by Cory’s facebook page and check out his other epic paper dolls.